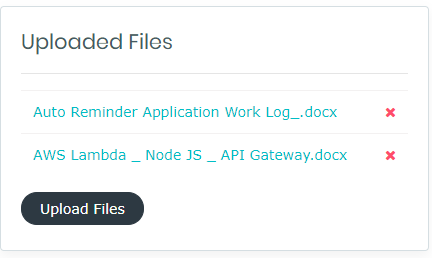 File attachment is the most common feature now a days for building any type of application. If comes to angular apps, it's a very time consuming feature. jAngular Toolkit provide portal module that can be easily integrate to add support for attaching / uploading unlimited files with forms and as a separate uploading module. Files: any; // tracking all uploaded images, you can use uploadedFiles for this purpose too.